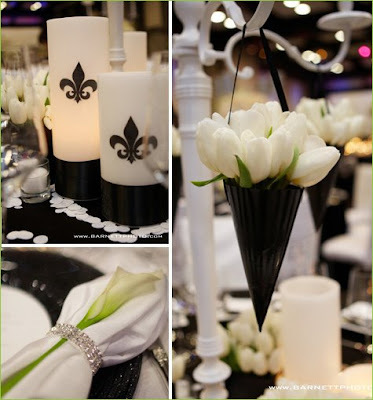 I absolutely adore weddings with a black and white color scheme, so elegant and classy that you really can't go wrong. 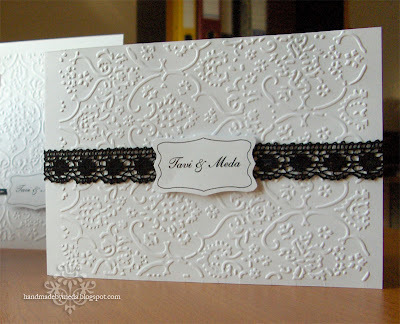 So, I am going to start off 2011 with a BANG of black and white wedding inspiration. This is not only an easy color combo, but it looks great as well. Nothing says formal like a black tie affair, and what better way to convey the high class to your guests than through the details of the wedding ceremony and reception. Black and White offer a sophisticated yet modern appearance to your big day.